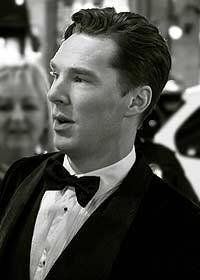 An award winning English actor for film, tv, theatre and radio. Best known for his roles in the BBC's Sherlock tv series, as well as Smaug in Peter Jackson's The Hobbit. He has also performed as Martin, the nervous pilot in John Finnemore's classic radio comedy, Cabin Pressure. Doctor John Watson:"Why didn't I think of that?" Sherlock Holmes:"Because you're an idiot. No no no, don't be like that. Practically everyone is." Inspector Lestrade:"I didn't say anything." Sherlock Holmes:"You were thinking. It's annoying." Khan Noonien Singh: "My name is Khan."